Hi! In this short tutorial, we will show you how to remove Wiremo branding from the widget. Note:Please note that this option is available only for our Advanced and Professional plans users. 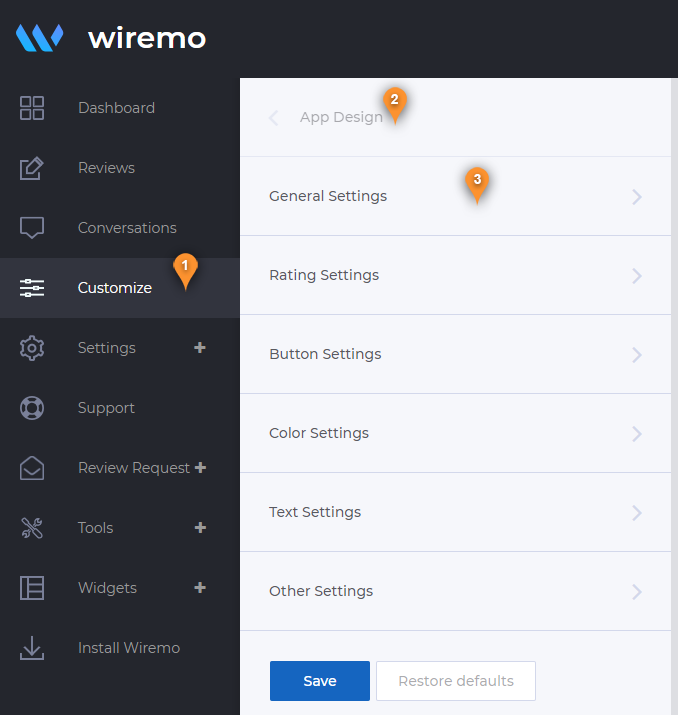 To remove Wiremo branding, please login to Wiremo Dashboard, go to "Customize" (pin 1), then choose the "App Design" section (pin 2) and click on "General Settings" (pin3). Now in "General settings" find the option "Wiremo branding" (pin 4) and disable it. Don't forget to scroll down and press the "Save" button. You're done! Thank you for choosing Wiremo.